With their incredible new African cookbook, The Groundnut Cookbook, out this summer, we find out everything you need to know about dynamic London trio Duval Timothy, Folayemi Brown and Jacob Fodio Todd. Order The Groundnut Cookbook book here and check out our video trailer below. 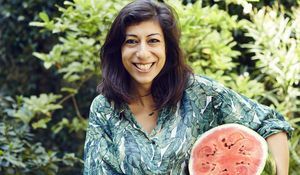 Can you tell us a bit more about your new cookbook, The Groundnut Cookbook? It’s out on July 2. Go and get it, you won’t be disappointed. The book is a compilation of all the recipes that we served at our pop-up dinners so they’re tried and tested by our guests. It’s structured in chronological menus, which function as chapters, so alongside the recipes there is a natural narrative of everything that was happening in the build up to each dinner. 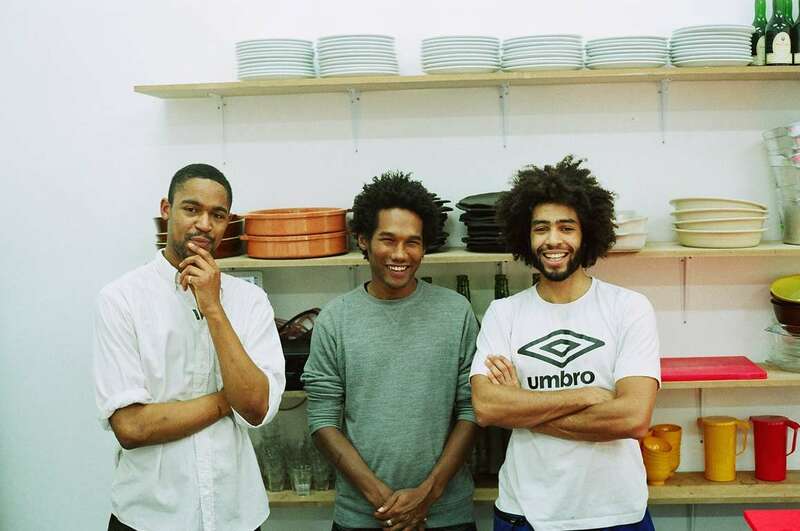 We’re going to have a big launch in party at the Black Cultural Archive in Brixton. Come along if you’re in town. If you had to pick one recipe to show off what The Groundnut Cookbook is all about, which one would it be and why? It’s tough to pick out an individual recipe given that there are over 100 in the book! We tend to think in terms of menus, since the recipes feed off each other. That said, at this time of year we would probably go for the avocado ice cream. It’s fresh, summery and made almost exclusively of avocado. What advice would you give to someone looking to cook African food for the first time? You’ll be surprised by how many ingredients you already have a feel for in the cookbook. You may not have tasted anything like Jollof Rice but it’s flavoured with ginger, garlic, onions, tomato and red peppers. All things you will have cooked with before. What are the key do’s and don’ts when it comes to African cooking? Here at The Happy Foodie, we're somewhat obsessed with cookbooks. Can you tell us a bit about your favourites? We’re big fans of the Polpo cookbook. It’s a classic. We think it’s a beautifully made book celebrating Venetian cuisine. And on our travels, we’ve picked up some more obscure titles, ‘Exotic Ethiopian Cooking’ by Daniel Mesfin has some interesting information about Ethiopian food. Which dish says 'home' more than any other to you? Folayemi: Eba and okro soup for me. Duval: Jollof sauce is something my grandma used to make regularly so I’m always reminded of her when I taste it. The sliced onions and red peppers slowly cooking through the golden brown chicken and the unmistakable aroma of a scotch bonnet pepper all melding together creates a sweet sauce like no other. Jacob: Stewed plums served by my ma will always take me back to my house in Tanzania. Idris Elba. We’d probably cook him Palava sauce, a delicious Sierra Leonean dish from our book. Do you watch food shows on TV? Is there one you really love? Masterchef – the professionals - is top notch. Back in the day that was pretty much the only show that would get us around the laptop, ready for the Michel Roux Jr. glare; talk of ‘exacting standards’, and Greg’s slow motion fork clean. We often laugh and joke about the year when Steve won with his incredible basil fruit pastilles along the way. There was this wildcard Geordie contestant who would shake incessantly when he was plating up too. That was a great season. 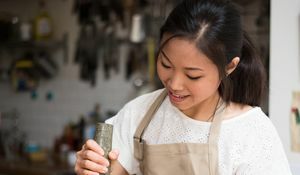 Are they any ingredients that you are really enjoying cooking with at the moment? It’s hard to look past plantain. There’s green, yellow and black to choose from and so much you can do with each kind. It’s something for all seasons and every occasion. People are open, receptive and excited about food from all over the world. The response to our food has been a good example of that. In addition, ingredients that you could only previously get on your travels are now readily available at the local markets, independent stores and supermarkets, so it makes sense to expand your repertoire of recipes. 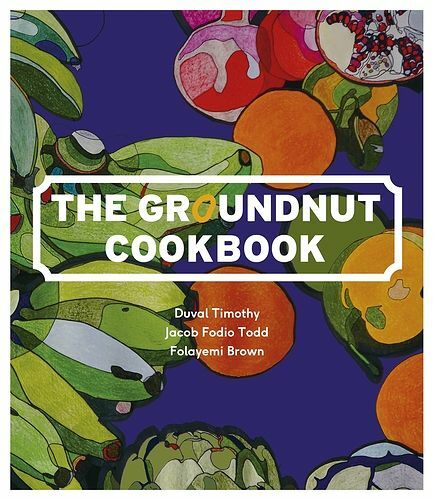 Pre-order The Groundnut Cookbook book here. 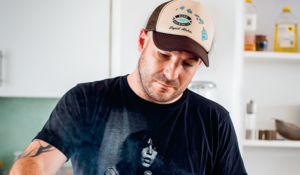 We are thrilled to announce that Neil Rankin's debut cookbook, Low and Slow - a definitive guide to modern meat cookery - will be publishied by Ebury later this year. We caught up with Neil to find out more about the cookbook, explore his foodie passions and find out what his predictions are for the food world in 2016.